In the four years since Jerry Sereda first sang in front of a live audience, the 28-year-old musician has churned out two chart-topping singles, earned an aboriginal music award and been signed by major record label EMI Music. "It feels great," said Sereda, a Charleswood resident who works as a photography and web design teacher at Sturgeon Heights Collegiate. "I’m keeping it real and understanding if it wasn’t for people enjoying my music and coming out to my shows I wouldn’t be able to do this." On Nov. 25, Sereda will release his new album, Turn The Country On, his first commercial release through EMI. Sereda landed the deal after shortly after independently releasing his first album, Campground Cowboy, in 2009. 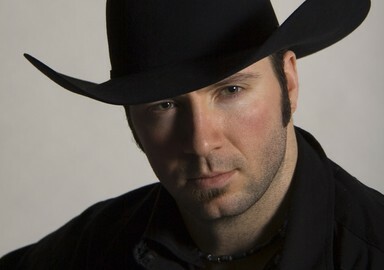 Despite a stint on Canadian Idol, Sereda found success after using his connections to play the Canadian Country Music Awards. He was signed a month later in October 2010. Originally from Ethelbert, just north of Dauphin, Sereda uses the 12 tunes on his new album to translate his transition from rural roots to city life. "A good chunk of the album is just about coming from the country and living life, having a good old country time," he said, noting its appeal to younger, new generation country fans. Songs like I Ain’t Learned Nothing Yet reflect how people have tendencies to fall back into certain cycles, he said. Other songs wax nostalgic for country living, while others trace decisions about love and regrets. "Having put out an album before, people enjoyed it," Sereda said. "With this new album, actually having people say ‘I heard your song, I love it,’ it’s a different feeling. I love it. It’s reached a national level. Sereda acknowledged his musical career is still in its infancy, noting the label has been flexible with his work as a teacher. Sereda only travels on weekends for shows. "They told me flat out, keep teaching," he said, noting his end goal is a career as a performer. "Right now, I’m focusing on my performance, making sure it’s dynamic. Maybe somewhere down the road, that will be my job. "I feel it will be a natural transition and I know when the time will be right," he said. Sereda will release Turn The Country On Fri., Nov. 25 at Cowboys. Tickets are $15 and include a copy of the CD. Crews will be on hand to film a music video for a future single. For more information, visit www.jerryseredamusic.com. WINNIPEG-BASED Jerry Sereda has already tasted country radio success with I Ain't Learned Nothin' Yet and Morning After the Night Before (both included here) but there's more where those came from on his sophomore release. Armed with a pleasing baritone and a bevy of Winnipeg's finest musicians, Sereda explores the same territory as Eric Church, Paul Brandt and Doc Walker (whose Chris Thorsteinson and Murray Pulver co-wrote Getaway Car with Deric Ruttan while Pulver guests on the album, displaying his string bending skills). Sereda doesn't write the songs, other than a pretty ballad called The Promise, but he sure can pick 'em. My Hearts Got a Memory and That'll Get You Drinkin' are both radio ready. To a lot of kids in grades nine to 11 at Sturgeon Heights Collegiate in Winnipeg, he's Mr. Sereda who teaches digital photography, animation and web design in his computer science class, which is cool enough. But he's also Jerry Sereda, country music dude. Country's a big deal in Winnipeg and that easily doubles the Sereda cool stature. This month marks his sixth year of teaching and he loves it, loves connecting with the kids. And during summer and time off when the teens are away doing what teens do, 28-year-old Sereda is lining up and playing gigs all over the area, surfing off his radio airplay. Commendably, he has yet to play a bar. And to think it almost wasn't to be. Initially Sereda figured his way into the business was going to be via talent contests and he entered the first Canadian Idol in 2003. Singing his two cover songs less like an original and more karaoke, he didn't make it out of Winnipeg. A few years later he tried again and made it into the top 50. Not bad. Next he tried CMT Karaoke Star and that didn't turn out nearly as well. 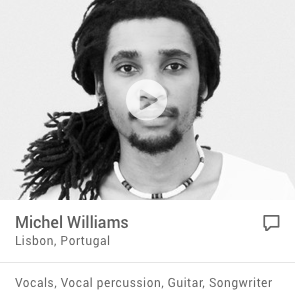 Meanwhile he was entering local radio contests as well but kept losing to the same people who would show up with studio recorded backing tracks while he always performed live with his guitar. That got demoralizing. So he quit. He had his teaching to fall back on. "And then I got a phone call one day from my mom," says Sereda. "She said she'd signed me up for this contest called Star Catcher. And I told her, 'I'm not doing this.' And her answer was, 'I'm your mother, I signed you up, you're going to do it.'" So he did it. He just walked in and let it rip. He came runner up, which qualified him for a Manitoba-wide contest that would feature 12 artists singing their own original songs that would go on a compilation CD. He invested in himself and recorded a full album, which didn't do much business but did initiate a chain of events that brought Sereda as a delegate to the Canadian Country Music Association conference and awards show that year, got him an opening showcase slot that won him a contract with MDM Recordings out of Toronto, a label with distribution arrangements with EMI Records. "It was one good turn of events after another," as Sereda puts it. Meanwhile he has found an excellent outlet for his music through the northern Aboriginal radio network that serves more than two million people - Sereda is Metis - and last year he was named the winner of the Most Outstanding Aboriginal Manitoban Award at the Aboriginal Peoples Choice Music Awards. From Jerry Sereda's upcoming Campground Cowboy album, today's featured free download is "The Morning After the Night Before". "That's a great tune," says Sereda. "That was written by a friend, Tebey Ottoh. I've lived 'The Morning After The Night Before' numerous times. It spoke to me." Jerry Sereda's debut displays a hint of the traditional music the Winnipegger grew up with, balanced with today's contemporary country, all delivered with a pleasing vocal exuding confidence. Campground Cowboy was produced by Foster Martin Band keyboardist Craig Fotheringham and features drummer Chris Sutherland (Doc Walker, Kim Mitchell) bassist Vaughan Poyser, steel player Joel Titchkosky and guitarist Darren Savard (Deric Ruttan). Kudos to Sereda for penning the material himself; even the big boys rarely take that chance, as it can be dangerous. The title track and Honky Tonk Holiday are good examples of that risky endeavour: overstuffed with words, they sound awkward and maybe another viewpoint wouldn't hurt. On the other hand, Simple Life and That Was Me and You show strong radio potential. The press conference included presentation of the award for Most Outstanding Manitoban. The award is given annually to an emerging Aboriginal artist, and this year’s recipient is Jerry Sereda – a country musician quickly making his mark. He began writing songs in 2003 with a style that combines the descriptive storytelling of classic country with the upbeat rhythms of modern country music. Jerry is a Canadian Country Recording artist from Dauphin MB, who has gained popularity performing festivals across Canada, and the USA with acts such as Johnny Reid, Shane Yellowbird, and Jason Blaine, and is "making his mark on the Canadian Country Music scene" (APTN, 2008). Having played venues ranging from acoustic performances in small lounges, to larger settings such as Dauphin Countryfest, and We fest Jerry continues to “expand his fan base with his upbeat rhythms and commanding stage presence”(Winnipeg Sun, 2008). Drawing inspiration from the classic country troubadours like Hank Williams, and Johnny Cash to the modern rockers such as Keith Urban, and Dierks Bentley, Jerry began writing songs in 2003 and has a style of writing that combines the descriptive storytelling of classic country with the upbeat rhythms of modern country music. Jerry’s style of singing has been compared to the “styles of country rockers Garth Brooks and Tim McGraw” (Grassroots News, June 26, 2007). In 2008, Jerry auditioned for Canadian Idol, and made the top 200 contestants in Toronto, ON. After arriving in Toronto, Jerry made the first round of cuts to the Top 100 contestants where they were required to sing one song from an approved list. Jerry managed to maintain his calm cowboy composure until after singing his song in front of the judges. When deliberations began there was some disagreement among the judges, and they finally came to an agreement to bring Jerry back to sing another song at the end of the list of contestants. This event lead to an entire day of camera’s following Jerry, as he set out to learn a new song from the list that would impress the judges. After an emotional day Jerry took to the stage to sing one final song which put him through to the next round on the following day. In the end it became a technicality with footage filmed back in Winnipeg which was not cleared for broadcast that sent Jerry back to Manitoba.